Did someone say sale? If there’s anything better than beauty, it’s beauty that’s on offer. For some it’s a sensible opportunity to save some cash, while for others (including us) it’s the perfect excuse to fill your boots with all the makeup, skincare, haircare and fragrance you’ve been lusting after forever and day. Although we’re sure you have your eye on a few things already (don’t try and pretend you don’t), we thought we’d share what we’ll be adding to our basket. But before you start scrolling there’s one phrase you need to remember: ESCENTUAL20 – add this at checkout to reap the benefits of 20% off RRP. You’re welcome! I already adore the Mustela Gentle Cleansing Gel; it’s been a staple in my baby boy’s skincare routine since birth, cleansing his skin and hair with an ultra-gentle touch that manages to remove even crusted-on spaghetti sauce without a trace of dryness. As soon as I saw that there was a limited edition bottle available, I just knew my little boy would go wild for it. The absolutely adorable Vincent The Elephant design doubles up as a fun bath time companion that Nico loves to ‘swim’ through his bath water (it’s a great distraction from the dreaded moment when I have to wash suds out of his hair). Don’t miss Vincent’s pals, Phillipe the Sheep AKA the Hydra Bebe Body Lotion, and Abigail the Whale AKA the Gentle Shampoo – they’re every bit as cute, and all three are exclusive to Escentual! Another Escentual exclusive, the Artist Lip Blush from MAKE UP FOR EVER is a lip texture that seems like it was made just for me. Shine-free? Check. Ultra-pigmented? Yep. Great selection of shades? Absolutely. In fact, its killer shade selection is inspired by my favourite beauty product of all time, the humble blusher, so you can expect all of the hues to be soft, flattering and complexion-enlivening. My pick of the bunch is 300 Powdery Coral, a warm and vibrant shade that’s not too orange, but still offers all of the skin energising kick that makes a coral lip such a staple in your lip collection. My skin is in a really good place at the moment and I’d say it’s down to this little gem: the Vichy Mineral 89 Serum. Last month we did a trial using it daily (read that here) and my skin looked, if I do say so myself, amazing! I’ll be honest, I didn’t think something with ‘hydration’ as it’s main driver could make such a difference but it really did. My skin’s texture was smoother, any redness I had was diffused, and in general, my complexion just looked far more plump and healthy – what more could you want? For me, this code was my excuse to stock up on everything I have tested out over the last few months – it’s a hard life being a beauty writer I know *grabs worlds smallest violin*! And I picked up the 30ml over the 50ml for two reasons: firstly, I have a weakness for anything cute and miniature, and secondly, I have a few trips and weekends away upcoming and I’m not the best at travelling light. 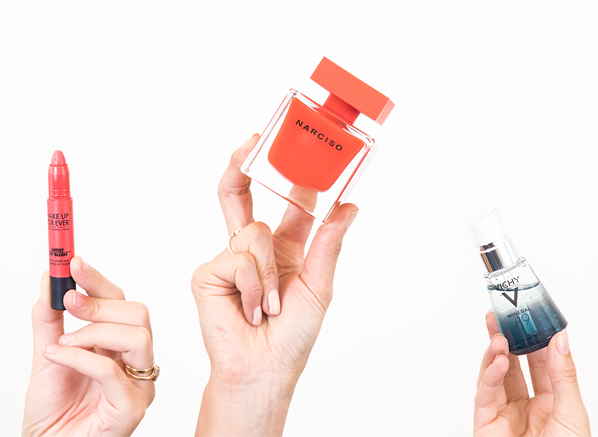 This 30ml size will help make room for all of my other skincare must-haves. I’ve been loyal to a famous brow pomade for many years but recently I’ve been struggling to get the effect I want. It’s mad because rewind 5 years and there was nothing I loved more than a high definition ‘Instagram Brow’, but lately I’m leaning toward a more natural-looking brow more and more, so a new brow product was needed. Like any big makeup change, it’s taken me a while to take the plunge, but this code has given me the push I needed to buy the Benefit Precisely, My Brow Pencil. I myself can’t believe I’m finally using a brow pencil – I avoided them for years because I thought they’d be too hard to use (turns out they’re not, not even a little bit). What I loved about Precisely when I first tried it is that you can create individual hair-like strokes with ease and if you make any mistakes or are a little heavy handed the spoolie end is there to help. Now I know I like to tell you all Narciso fragrances are special, however, Narciso Rouge is up there with the most special, not just for its crimson red bottle, but its’ uber-feminine fragrance trail that smells like nothing else I’ve ever smelt (it’s from the floral-woody family if we’re being precise). Instead of opening with white florals like the original Narciso Eau de Parfum, Rouge bursts open with fully in bloom red petals from Bulgarian rose and it completely steals the show. Rouge is one of those scents that when you come across it, you picture a confident, glamorous, super-polished women who knows exactly what she wants, but she’ll never tell you what fragrance she’s wearing. I’ll let you in on a little secret, it’s definitely Narciso Rouge. Now I don’t know about you, but I’m always on the lookout for a good setting spray, especially with the recent heat wave; I need all of the help I can get getting my foundation in place! I’m desperate to own the new Laura Geller Spackle Mist with Coconut Water, as unlike other setting sprays, this one is a 3 in 1 face mist that will sit perfectly on my desk for 3 pm touch-ups. 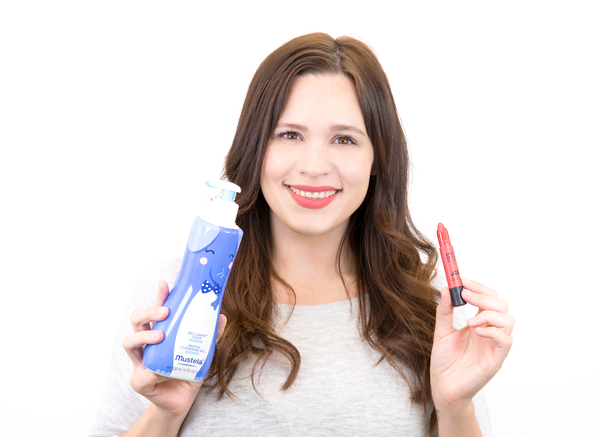 You can prime, refresh, hydrate and set your makeup with it and who doesn’t love a multi-tasker? I’m particularly interested in its skincare benefits too as it’s enriched with potent skin reviving minerals and my current favourite drink, coconut water, which adds moisture to skin without adding excess oil to your skin. This is just what I need right now! 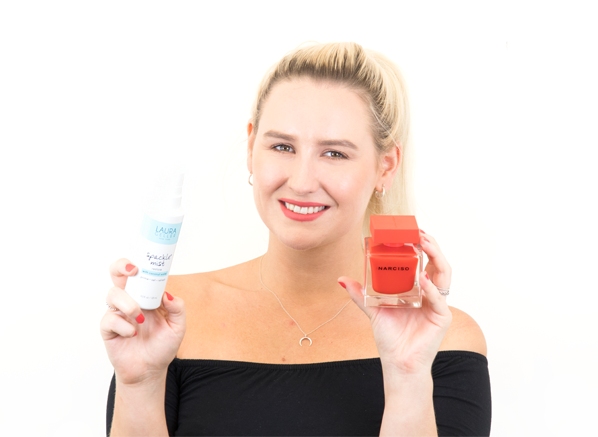 This entry was posted on Thursday, August 9th, 2018 at 4:57 pm and is filed under Fragrance, Make-up, New products, Skincare, Tried & Tested. You can follow any responses to this entry through the RSS 2.0 feed. You can skip to the end and leave a response. Pinging is currently not allowed.